These are the things that bring me peace and joy. A MASSIVE bubble bath, in terms of both duration and depth. Lighting loads of tea-lights, all in one go. Spontaneous weekends beside the seaside. Looking at painted river boats along the canal. Birdsong. Keeping the Christmas fairy lights up all year round. Fresh mint tea. Getting my nails painted ruby red. Befriending a dog. Rescuing reduced flowers from the supermarket’s bargain bucket. Roasted vegetables sprinkled with mixed herbs. Reading a book on the train. Reading the Sunday papers in bed. Watching a talented musician perform live. Being inside, when it’s raining outside. Gazing into a bonfire. A perfectly ripe avocado. Walking in the woods. Carpets of bluebells. Going barefoot on dewy grass. Staring at a beautiful full moon. Seeing the moon’s reflection in the sea. Being brought tea in bed. Hugging a hot water bottle. Hugging my favourite humans. Sunflowers. Feeding the stray cat. Keeping a house plant alive, like a little green baby. Seeing a dog on the train. 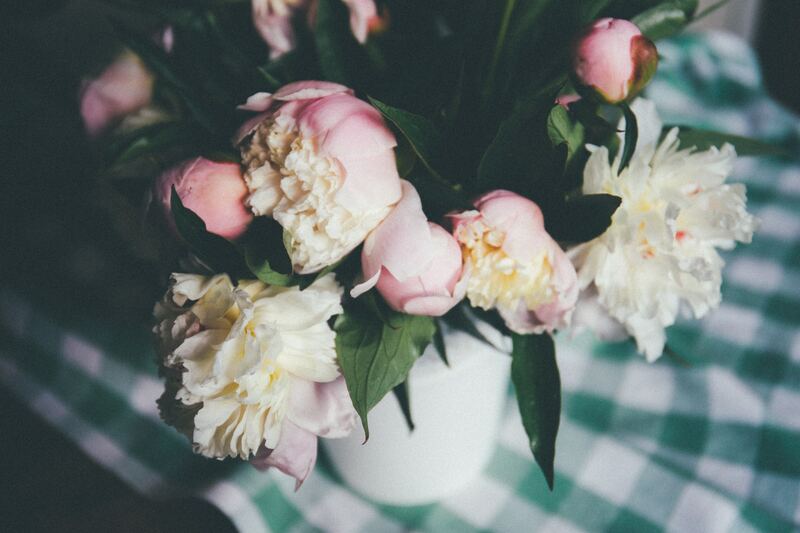 Watching peonies burst into bloom. Listening to the sea lapping in and out. Hearing the laughing call of the woodpecker in my garden. Buying old books from charity shops. Wearing polka-dot tea dresses. Smashed avocado on toast, with chopped olives and tomatoes on top. Finding a parking space straight away.